A courtesy visit was made to the new Minister of Domestic Trade, Co-operatives and Consumerism, YB Dato’ Hamzah Bin Zainudin. Present for the visit were members of the DSAM Board plus representatives from member companies. 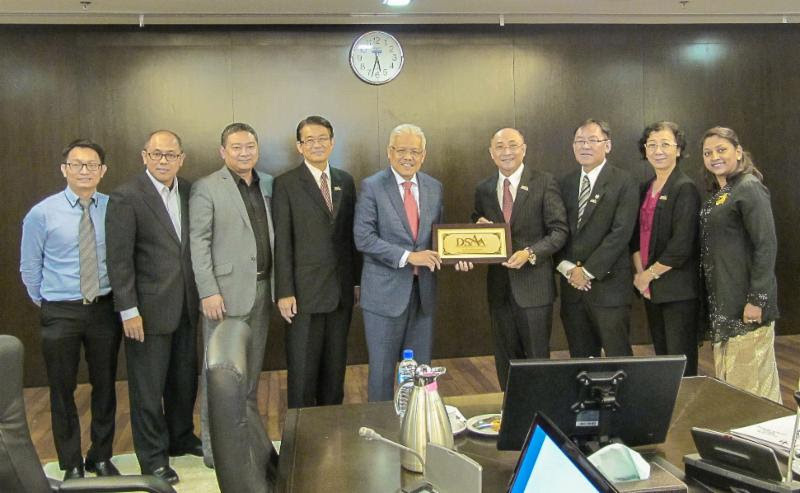 During the visit, Dato’ Hamzah mentioned plans to assist local Direct Selling companies to compete in the global market plus making it more lucrative for multinationals to invest in this country. As Malaysia is the leader in terms of sales among ASEAN countries, there were also plans to make Malaysia the regional hub for the industry. DSAM was also given the opportunity to voice the current challenges facing the industry. Among the issues brought forth were the non-implementation of the Direct Selling Blue Print, charging of GST on Bonuses, and the proposal of Co-operatives applying for AJL Licenses. Dato’ Hamzah will look into all these issues as they all have a bearing on the growth of the Direct Sellng industry.